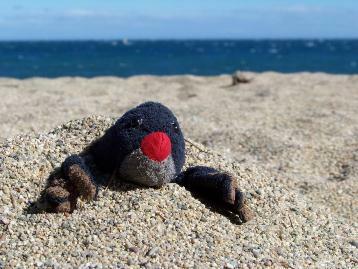 today i was chosen to take Monty the mole home(Monty the class mascot).Monty's hole is green only the rim is black and his skin.Monty was exited to come to our house but he was a bit cold.And i made him a new bed. this is the stuff i used to make a bed for Monty .Maybe you can make a bed in 1 easy stage.Need 2 big pieces of cloth,big box.First put the cloth into the box...and there you go. Yesterday we went to the skate park with Monty.Monty was a bit scared that the other people would crash into our skateboard.I found a safe way of having Monty while i am skateboarding after some time he wanted to sit on the railling and watched me skateboard. My mum tried to do it and it was a good try.Next we played football. I done lots of goals and won . The Lorax is the book Dr Seuss wrote.We done a play about it.If you want to watch it it will be undernith this article.Monty played the Lorax. We made trufulla trees for the play.If you want to make a trufulla tree you can.How to make a trufulla tree.Need,BBQ sticks,cotton,paint.First spray paint the cotton and then poke a BBQ stick in it and...there you go. On the 24th of December i had a Christmas party with toys.The fatest guy is called: MARIO.The next guy is on the right of MARIO who is called: GOOFY VADER.Next is the dog who is called:Lotty NOTTY. Monty tried to eat one but was invain. HOW TO MAKE CUPCAKES.need cereal;chocolate. done in 2 very easy stages.Heat chocolate spread onto cereal..and there you go.Monty liked the party very much. we went to have our dinner in Capitole. This picture shows lights floating in the sky.Monty said he really liked it. Monty enjoyed having a piece of pasta. For the holidays we went to Val Louron.Val louron is in the pyreenes. Here i am in the cottage we stayed in. Monty liked the bunk bed in the cottage. 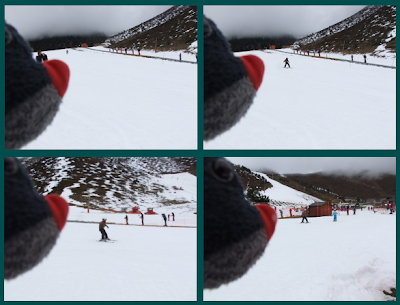 Half way down the slope.Monty was tucked inside my coat so he could ski with me.Monty was excited to ski down the piste. Monty watched me ski down the piste. Monty next to my ski medal.I earned a ski medal after my ski lessons.Monty was happy that i got it but also wished that he could have one. Ambilu I really liked you and Monty skiing.